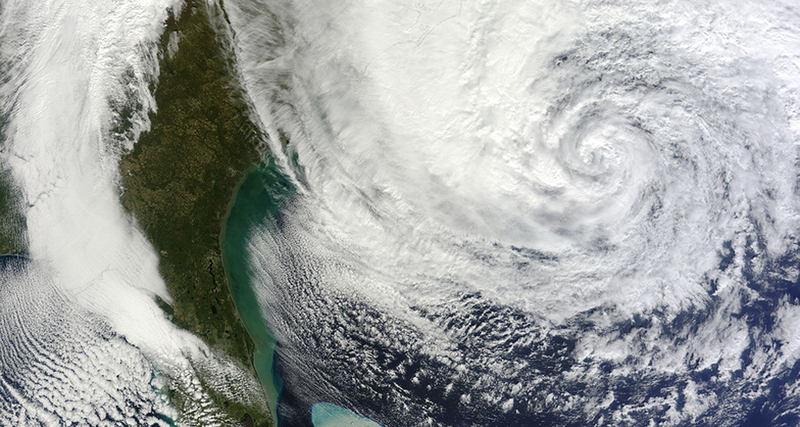 Hurricane Sandy is making her presence known on the East Coast right now and it looks as though things are going to get rough for residents. So where to find out what’s going on and what to do if you’re feeling her effects? The National Hurricane Centre has live information, warnings and news about the progress of the storm. There are video and audio broadcasts that are being updated periodically. The National Hurricane Center is also running a Twitter account with advisories and the outlook updated every few hours. Google’s Crisis Response Team is also gathering information including a map providing current emergency information. NASA’s Precipitation Measurement Missions have also been mapping the storm via satellite and in 3D. If you’re battening down the hatches and prepared for the storm, it is likely that the power may go down and you should have a few extra supplies ready for a difficult week. If you are in this situation and you’re nerdy by nature, Geeks without Bounds has an excellent stream of tech advice available on its Twitter stream. From the middle of the action, Web design and content firm Oak Studios has a live video stream running from its location on the Brooklyn waterfront. Incidentally this is in Evacuation Zone A and you can find out more information about the zones here. Blogger and founder of Boston Media Makers, Steve Garfield is also running a live video feed on Livestream. This view shows his area which is in a more suburban setting. Storms of this magnitude tend to generate extraordinary images, no matter how dangerous it can be to take them. Chris Ackermann, the Director of Emerging Platforms at New York Times R&D and his team have put together Instacane, to follow a timeline of images from the storm. In order to provide further access to vital information about the storm, the New York Times and the Wall Street Journal have both dropped their paywalls and opened their mobile apps to all users for free. The New York Times has plenty of updates and live coverage and the Wall Street Journal is also running a live blog. As with all emergency situations these days, the go-to place for updates and information is Twitter. Hurricane Sandy is no exception and a search will turn up plenty of well wishes as well as updates, reports and links to more information. Search under the hashtag #sandy for the best results. Another good place to find updates and information is via Reddit which has plenty of news and advice as well as some light relief in the form of the usual pictures and jokes. If you’re quite specific about how you prefer your hurricane news, Poynter has corralled a selection of GIFs, but we’re not sure if these will be updated. Are you following the storm? If you have found good ways to share relevant information, add them in the comments.